Though dating can be the most interesting and rewarding type of interpersonal relationship between people of different cultures and societies, it can also be the most difficult. Between people involved in a romantic relationship there is not only a verbal communication, but another more subtle communication that is non-verbal. The results of this fact are many more opportunities for interesting interactions but also for wrong interpretations. Be aware that when you enter into a relationship with a person from a different culture, you are entering into a situation that is more volatile than what you are used to in your home country. It can be at times strenuous, but at the same time valuable. Some of the basic differences in the rules of “amor”: women almost never ask men to go out; the man is expected to take the initiative to propose a date. Another rule is that men are expected to pay for dates, except when going out with groups where everyone pays their own bill. Another, for a first date, never ask a woman or a man for dinner at your apartment without other people. 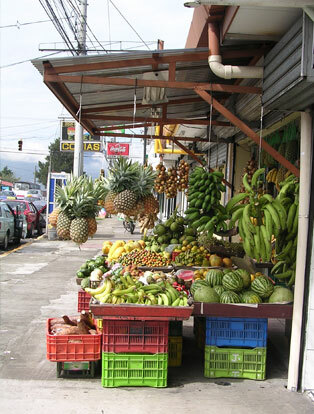 The significance of a date is very much different in Costa Rica than it is, for example, in the United States or Europe. First dates in the U.S. or Europe usually are an opportunity to get to know someone else better or to show a desire to share free time together. But in Costa Rica, a “date” between two people almost always represents a romantic interest; it is more usual for people to go out together in groups in order to get to know each other. The best advice for someone coming to Costa Rica is to try to show, as clearly as possible, towards a man or woman, your desire for friendship before anything else. Ticas and Ticos are very willing to talk with strangers and this is a great advantage in your possibilities of getting to know someone. If you treat the person you are interested in as a friend first, who knows where your relationship could lead? Costa Rica is not a rich country. But in spite of this they have developed the curious art of having little money and not showing it. People seen on the streets of the towns and cities are well-dressed, as if it were just another proof of the “well-known fact” that Costa Rica is the best country in Central America. Because of this Costa Ricans in general do not appreciate the styles of “grunge” developed in the United States although this is now common around the many universities. You will not go wrong to dress neatly. Bring comfortable clothes and shoes for school and travel and something nice for a night on the town or a business meeting. The electrical current used in Costa Rica is 110 volts, AC. The sockets are American-style, but usually don’t have a place for a grounding prong. American and Canadian appliances whose plugs don’t have grounding prongs should work, but it’s always a good idea to check with your family or hotel about the voltage before you plug anything in. Addresses and phone numbers of all embassies and consulates are available in ILISA’s office. In case of an emergency during working hours, contact the ILISA staff at 280-0700. After working hours, call Thorwald Westmaas at 273-5480 or 383-5875. Upon arrival, most tourists are given permission to remain in Costa Rica for 90 days. To officially extend that time limit, you must request permission prior to the end of the 90 day period by going to the Immigration office, in La Uruca (on the road to the airport). 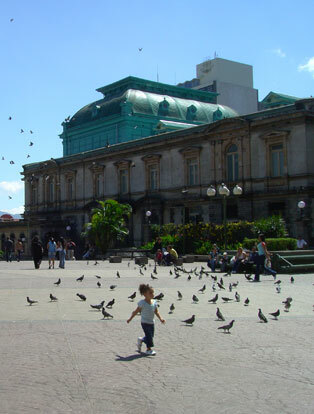 If you plan on being in Costa Rica for more than 90 days, we strongly recommend that you take a quick 3 day trip into Panama or Nicaragua (for the more adventuresome) by car or bus. For those of you that would like to go to nearby islands (1 hour flight), we recommend the San Andres Islands (Columbian). Unlike mainland Columbia, these islands are very safe and fun. 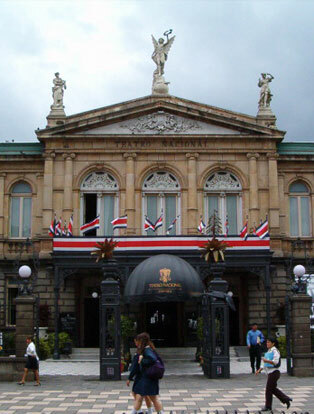 They are a frequent tourist stop for Costa Ricans who want to get away for a weekend. If you don’t leave the country, and you overstay the 90 day limit, an exit visa will be required. Most travel agencies will do the paper work for you for a small fee and no headaches. Please speak with someone at the front desk for suggestions of where to go. Keep in mind that you must allow time for the processing of your exit visa and that it is valid for only 10 days. If you wish to send faxes at ILISA, please ask the office staff for one of our cover sheets. The current fax rates can be found in the reception area. The first Monday you begin class is a little different from other Mondays. We always have a lot of new faces, and the first part of the morning is devoted to placing students in classes that correspond to their level of Spanish proficiency. When you first arrive, we will give you a form asking for personal information if we are lacking any. Please give it back to any staff member. This is also a great moment to pay your course costs (if you have a remaining balance). In the meantime, our Program Director, assisted by one or more teachers, will interview all new students to assess their Spanish proficiency level. After all students have been tested, groups will be formed, teachers assigned, and classes will start. The staff here at ILISA usually does an excellent job at correctly placing students in the appropriate groups. If during the first few days, however, you or your teacher feel that you are in the wrong group, talk with us so we can make any necessary adjustments. Also, you will not need to go through the interview process every week. On subsequent Mondays, check the class distribution plan located in the reception area and then get right to work with your new teacher. Every Monday there is a brief orientation session for new students after the exams are completed and while teachers are forming groups and getting materials ready for class. This orientation session is offered to help you get acquainted with daily life in Costa Rica and answer any remaining questions you still have after reading this. If a large group of students start class on the Monday you arrive, you will start your Spanish class after the 10AM coffee break. If only a few new students start school, you will start class at approximately 9AM. Gimnasio Sindy: 253-2835 – Located above the Sindy supermarket in Cedros. Equipped with free weights, machines, and a small aerobic studio. Victoria Gym: located in San Pedro- costado este del antiguo Banco Antiguo, alto laboratorios Fuji- 224-3963. The gym has facilities for weight training, aerobics, and physical conditioning. Students from ILISA receive a discount membership rate when using their ID. Spa San Pedro: 280-0036. 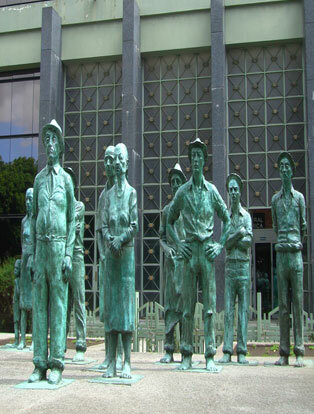 It’s located in the Arte Plaze 300 m. north of the Fuente de la Hispanidad in San Pedro. A great place for a workout! Gimnasio Cipreses: 253-0530 (located in Curridabat) A huge multi-gym. It has variety of different types of fitness activities including aerobics, tennis courts and nice swimming pools. Students from ILISA are able to get a discounted monthly rate. Check with the office staff for more details.